We booked this hotel through Agoda.com and when we arrived in Nha Trang we found that it was 100km away from Nha Trang Central. Site did not say how far out it was. No Taxi driver would take us for less than 150 dollars and 2 hours in taxi(one way). It is so out of the way we could not afford to take the taxi ride to resort. So traveller be aware. The hotel will not refund the money for 4 nights, says its our fault. The owners and management should tell it like it is. I knew about this resort from the taxi driver who picked me up from White Sands Beach. This resort is definitely my style: real escape from city! Very quiet, long beach with beautiful landscape. It was not fully booked during my travel, which is good to me! I chose a nice suite room with big bed, nice balcony with clear view of the sea. The staff is friendly although some of them did not speak English. They introduced to me well about the local village and took me their for me to choose the seafood. The area is not commercialized like ones in Seafood Market of Doc Let or Dam Market in Nha Trang, so I could get very cheap but fresh seafood. And as the result, the meal was delicious. I don't know how the area will develop in the next 5 years, but if any of you are looking for a quiet place for relax, you should visit it while it is still untouched and wild. When we arrived, it seemed like paradise. The garden is really nice, so are the rooms and the beach. But our illusion was destroyed more and more the longer we stayed. The nice things were said in the other reviews so I will focus on the things we didn't like. Let us start with the food. The basic problem is that you have no choice since the next Restaurant is 20 kilometers away. So you have to eat in the resort. The menu is very limited so that you end up eating the same dishes over and over again. This was especially a problem for my girlfriend who is a vegetarian. The food is overpriced by Vietnamese standards. For example a small cheeseburger (you need your glasses to find the meat) with a couple of fries costs $5.20 including service and tax. The portions are very small and the food mostly tasteless. You get the impression that they try to save every penny. For example the juices and even the chocolate milk were heavily mixed with water. Or there were like three tiny peaces of seafood and about 50g of spaghetti in the "seafood spaghetti". We are two sweat tooths so we were dieing for a dessert or some chocolate. They had some items on the desert menu like creme caramel, creme brule or banana flambe. We've been asking for them every day, but they never had any and they didn't even have bananas! The only dessert they had was pancake! Oh no, wait... after asking over and over again they found some "Ferrero Rocher" which they obviously stored for ages in their fridge since the chocolate already had a white layer... and they tried to sell us 4 of those little chocolates for 6$! 2. Bigger portions. I don't care if I pay a little more but I don't want to have the impression that you want to spend as little as possible for the food you serve me. We complained three times about that during our stay but nobody cared and nothing changed. 3. Open a little shop where you can buy basic things like chocolate or cigarettes. You can make more money and the costumers are happy. 4. Show some spirit regarding service. It takes very little to make costumers feel happy and special. We were pretty much the only guests and we had some inconvenience like power outages (3 times, for a whole day once) and we've been asking for desserts over and over. For example, you could have offered us a little "surprise" in the restaurant like a dessert platter made for us. Such things really don't cost much and we certainly would feel different about your resort now. We were pretty much the only guest beside a Hungarian family which was there the first two days and a filming crew. And there was plenty of hotel staff! So what I would expect is extraordinary service. But it seemed like the hotel staff is sleeping all day. For example we wanted to have two of those small mattresses on our beach chairs. We found the guy who was responsible for the beach sleeping on those. We tried to wake him up. No reaction. So we basically tried to pull two of those mattresses he was sleeping on. He woke up while we were doing that and basically gave us ashort look and than turned to the other side and continued sleeping. Another problem was that your staff doesn't speak English at all. You should give them some training on that. And one more thing: If they don't understand what we're saying that's okay. But PLEASE say so, and don't say "Yes, yes". Because if we know that they didn't get it we can try to explain. The room was pretty clean. However the pillows where sort of smelly. There was some garbage in the garden and on the beach (It might be a good idea to tell your sleeping staff to clean the beach or find some other reasonable occupation). There were like 10 dogs on the property that were barking at us from time to time and urinating everywhere. What was worst is that the dogs even had access to the kitchen. (but please leave the dogs alive!!!) Public bathrooms were not very clean. I suggest you taking a closer look at the public men's bathroom near the restaurant. We payed 70$ for the room with sea view. It's the most expensive room we stayed in in Vietnam. But since it's a resort and the room, the garden, the pool and the beach are really nice, I consider that good value. The food was sort of expensive for the amount and quality you offered. What really pissed us off was the laundry service. We had a very tiny bag of laundry we gave to you. You charged us 38$ (including service and tax) for that.Which included 17 dollars for 15 tiny womens underpants for example! We've been using the laundry service in other hotels in this country before and we are sure that it would cost not more than 5$ in any of the other hotels. That together with the check-out procedure (which took 75 minutes although we were the only costumers) made me really angry and contributed to the bad impression I have about your resort. I figured out that you've probably got some problems regarding the lack of costumers in your resort. But you should not only work on your marketing and booking (we wanted to book by phone but we couldn't understand a single word that guy on the phone was saying), but also on the quality of your resort. Don't give up, because this place has plenty of potential. It's really a pity. If you look at the rooms it's obvious that somebody has put a lot of money and passion into this resort. It's a shame that you can't feel that spirit anymore. First of all we would like to express our most sincere thanks to your visit. 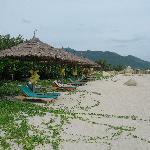 We do appreciate your interest to Vietnam tourism and Wild Beach Resort, which made you to stay over for 3 more nights. We did thought that you enjoyed your stay, except for a small problem during check-out as during your stay we did not receive any complaint from you. However, we are very sorry to realize that you had a lot of concerns to share with us, which could have been avoided if we communicated. Regarding your comments, please allow us to respond with all respect. 1. Local restaurants: there really are other restaurants around. You may not aware that you could have found local foods at the village’s market which is 1.5 kilometers away, or at local restaurants in Huyndai Vinashin shipyard area which is 5 kilometers away. Many of our guests before did travel around by bike or even by walking to discover the surrounding and foods! You can even try the restaurant of the resort next door! Our resort location is not city center because it is built in the wild, but our guests are never isolated. We do encourage them to go around and discover the nature, the culture here. 2. Menu selections: we are aware that our menu does not contain hundreds of choices like other city hotels. Our theme is “wild, hide-away and close to nature”, therefore we decided to keep international dishes to a minimum standard, but on the contrary, we put a lot of choices of local specialties in the menu such as Sea food hot pot, Vietnamese rice soup, Caramelized fish in clay pot…however, we are sorry that you did not seem to like them, so that during your three-night stay you hardly order Vietnamese dishes but kept ordering burgers and the fried fish. We will study our menu again and do our best to make it more interesting. 3. Food portion: a portion of our Seafood pasta contains: 3 pieces of squid, 3 shrimps, some pieces of tomato, capsicum, onion, spaghetti, plus one baked cheese slice on top. Strange enough, just last week we received a comment from our guest, who ordered a Seafood pasta, that the portion was too much! Perhaps it maybe small for someone but big for others. However, we will consider this matter carefully and work with our chef in no time. 4. Chocolate: we are sorry but it is extremely hard to find chocolate in this area. However, since you seemed really want them, we offered you that “Ferrero Rocher” box which our General Manager purchased just a few days ago for our coming staff party. With all respect sir, we could not understand why you wrote that the chocolate had a white layer on them, because the box had not been even opened, and everyone knows that “Ferrero Rocher” is wrapped in gold paper! 5. Vegetarian matter: we are very sorry to know that your friend is vegetarian. Sir, why did you never let us know during your stay so that we could have prepared some special dishes for her? We have checked your booking information after receiving your review, but there was no information about this also. For your information, one member of the film crew was vegetarian as well. She informed us in advance so that we served her with: rice noodle sautéed with mushroom and vegetables, vegetarian fried rice, vegetarian curry…This pity problem would have never happened if we were informed by some ways such as: leave a note at the reception upon arrival, simply fill in the “Remark” option in your booking or simply inform Restaurant staffs. 6. Sleeping staff on the beach: May we ask if the person you mentioned was wearing uniform? If not, he could have been a member of the film crew because we have got this confirmed by them. We have some staffs for beach activities service and they all wear uniform, speak English (not professionally but they do) and most important, they do not sleep during their shift. That we can assure you, not because they are our staffs, but because all these people are local, extremely friendly and full of good intentions to guests. They take their job really serious and it is a part of their culture to be very welcoming, friendly and guest-oriented. However, we are very sorry with this extreme case and the inconvenience you had experienced. There will not be another case like this in the future. 7. Service & cleanliness: we are very sorry that our service was not very smooth to you. About the fact that you thought you were our only guests, please allow us to say that 35 people of the film crew were our guests as well. With all respect, you may have not paid attention, but they work day and night, therefore our staffs did have a lot to do, not just sleeping all day. However, regarding the toilette, we are sorry that the moment you used it, it was not clean. Our housekeeping staffs clean the toilette every two hour, everyday the same. Nevertheless, we would highly appreciate that you could have informed us right-away when finding the toilette not clean, so that we could have cleaned it in no time. There are simple ways to solve things, are there not? 8. Check-out time: we are sorry that check-out time was long for you. But it would not be fair for us just to say that. Please kindly note that we had problem with your booking payment: you claimed that you had paid in advance, but we never received the money. This morning we got the confirmation from the Reservation Center where Expedia is a member that your booking was supposed to pay directly to hotel. You only used your credit card to confirm the booking. However, we did not charge you the first night and let you leave. What took longer was the taxi. You did not order a taxi in advance, which was why it took long for you to leave. This could have been avoided if you had have informed us about your check-out, so that we could have prepared the bills and ordered a taxi for you in advance. Dear our valued guests, we are very sorry that you were not happy with your stay. Please accept our most sincere apology for everything that happened. However, as we mentioned above, a lot of problems would never have happened if you had let us know some information, or given us a chance to fix them right during you stay, to gain back your satisfaction. We are very grateful to your comments because good or bad, they help us to grow day by day. Despite everything, we share one thing in common: passion for tourism and hospitality. Therefore, please give us or any other hotel/resort in developing countries like Vietnam chances to learn, to fix their mistakes and to develop, as we believe you will continue your journeys. We wish you and your friends, your family health and happiness in life. 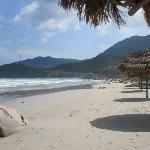 This hotel is one hour drive from Nha Trang, but if you are looking for quite place with clean private beach, it`s a perfect place to go. We spent 3 night there and were very lucky to be the only customers! of the hotel, so we had the whole resort for ourselves. We were looking for privacy and getting some rest after long trip and that`s perfect place for it, as the resort is quiet and monitored by the staff, so noone can bother you. We had the cheapest room and it was perfect, clean and spacious. I was a bit afraid of the “open bathroom” in terms of insects, but we only meet a small frog and lizard there, so it was okay. The bathroom is nicely designed with both bathtub and shower. We were given daily complimentary coffee/tea pack and small bottle of water. The pool and jacuzzi are nice and overlook the beach. There is a bar also close to the beach but is was closed as we were the only customers, but it was okay as the staff was in the restaurant all the time available to us. The pool guy was there the whole day to assist us with clean towels and water sports equipments should we want to use them. There was one computer with internet connection however it was slow and working only evenings. There is also small library and game room with billiards table and darts. The restaurant was okay, a bit more pricey but still reasonable considering the location. Breakfast was perfect choice of both local and continental cuisine. There was one computer with internet connection however it was slow and working only evenings. There is also small library and game room with billiards table and darts. Staff was friendly and helpful. For 40 USD per room (including taxes) it was definitely worth it! I would like to tell You a curious story about a couple of Russian tourists by destiny turned their feet to the door of Wildbeach Resort. Being slightly tired after a previous weeks of journey and having enough money to pay for the expected quality and comfort of a 4* hotel my dear friends took a room with a stunning name “Ocean suit” that promised to be relaxing like an ocean in peace and fulfilling like pleasant tune. The first impression was so lovely that even the out of order toilet didn’t spoil the mood. What is the big deal! While the travelers unpack their stuff the servant-boy removed the problem though it leaves the impression that the guests were not expected. The first call to worry came when administrator couldn’t find the way to the swimming pool in one’s own hotel to lead there the guests. That’s how the clients “pay” for the unordinary request: my friends wanted to seat near the pool at night. They couldn’t do. Nothing is more pleasant then the beautiful morning in the wild nature. Unless if this morning the one has to face through the window with a dirty surface and pigeon’s [----] on it. That’s really pity that indescribably beautiful view has to be shared with the ignorance of the simple cleanness by the stuff of the hotel. Just to notice… During the night the liking AC left the cloth of the travelers wet. Oh! But it’s obviously their fault. They should have left the dresses in the closet instead of being so careless leaving them under the AC. Anyway… The morning is still wonderful and can be even better after the good food. The breakfast, included into the price, was that thoughtfully diabetic so then nobody of the clients could even complain of putting extra weight… It is fair if we would talk about the hospital but not the hotel where the choice has to be made by the client. The modest food that was offered to the guests would feet the cheapest fast-food corner but not the 4* hotel. The servants… Oh! They were absolutely friendly and tried hard to please the client’s wish. And it would have worked if they would simply understood what exactly client says. The simple request, “Can I have one more tea”, caused the disappearance of the servant forever. I’m not saying anything about the visible oily spots on the servant’s uniform… What to say except that it is a shame for the reputation of the hotel that pretends to be 4 with “stars”. 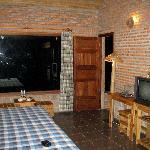 Respected Sur, the service of Wildbeach resort does not correspond to the international level of 4* hotel. Remove two stars, cut the prices down and the clients would be delighted to spend time in your hotel. At list they will not feel fooled by the stars that shines only on paper. First of all I would like to thank you for your comments about Wildbeach. Please accept my truly sincere apologies for the inconvenience you had to endure. As a very young resort in Ninh phuoc, there are still a lot of difficulties and plans we are having, so obviously it has caused you unpleasant experience. We are managing and drawing lessons everyday from every guests coming to our place, in order to be come better and better. We are very sorry for the maintenance problem in your room. Regarding mouse, we are terribly sorry about that, also for you to notice, in a tropical jungle like this or anywhere else in Vietnam, we may find some insects and animals very often. 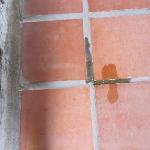 It a common problem that all the resorts located in the jungle will have to face. Certainly it is not true that guests will have to live with snakes or bears when traveling to India, because these are huge animals and insects that do not have the habit of staying near human, while mouses, ants or mosquitoes really do. We did offer you to change your room, so that we could take steps to prevent this, but you did not want to, and us, by all means, had to respect that. Our menus are still being revised and edited from time to time after collecting guests’ opinions and comments. We really appreciate yours towards our menu and food items. Please be aware that we have just added more items in both Vietnamese and Western food, we hope that our customers will be pleased. Regarding the service, we are sorry to hear that you disliked ours. A lot of our guests have considered our staff friendly and helpful. Please be noted that our staff are being trained in English and in service skills so that they could serve the guests better and better. We are very sorry if it caused you unpleasant experience during your stay. If only you had informed us right when you were staying, not after you had left, we would certainly take steps to change all these and things would be different. Once again we truly apologize for the inconvenience you suffered. Regarding the uniform, as in previous email I informed you that our new uniforms are being changed, now I am very pleased to show you that all uniforms that our staff are wearing now, are the new ones. Please see the pictures I have attached, to understand that we did keep our word toward customers. About the receptionist that could not find the way to swimming pool the first night you check-in, I am very sorry about that. I wanted you to know that it was her first day working, so she may make mistake from time to time. I understand your feeling about this, but as I may think, accept the first night, for the other nights staying at Wildbeach, you could certainly enjoy the swimming pool at any time you want, and this did not ruin the whole stay of yours. Our staff fault is obvious, but we think that we may sympathize for the new staff, as everyone has all started their work with mistakes like she did. The most important thing is that she has improved dramatically everyday, and the guests now are happy with her performance. I believe that you will be happy to hear about this. Once again I would like to thank you for your reviews. Please believe that your comments as well as other guests’ ones, good or bad, will be our motivation and lessons that will help us to become better day by day. I wish you strengths and happiness in your life.